The FBC Missions Ministry engages the entire church family in opportunities to live out the Great Commandment and to embrace the mandate of the Great Commission given by Jesus to His disciples. (Matthew 22:37-40; Matthew 28: 18-20) . The FBC Missions Ministry achieves its vision through prayerful consideration of how the Lord would direct the church body to support local, regional and cross-cultural mission efforts. Among our congregation, we strive to cultivate an awareness of various mission organizations, to motivate participation in events that help support parachurch ministries, and to activate outreach groups from our own church family to minister to the lost, the lonely, and the indigent. Every year, the FBC Missions Committee directs a percentage of the church’s budget to support mission organizations. 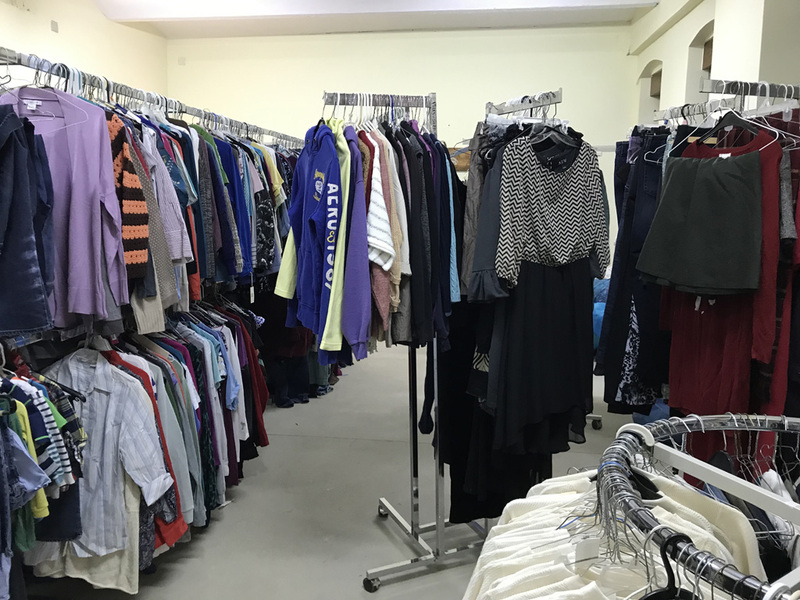 Currently, financial support is being applied toward the ministries of: Cru/New Life Moldova, Elim Christian Center in Poland, Kainos Brothel Ministry in Stuttgart, Cadence International missionaries working with the Kaiserslautern Military Community, and Heartbeats Crisis Pregnancy Center in Ramstein-Miesenbach. The Annual Banquet and Baby Bottle Drive in January to advance the benefits of Heartbeats Crisis Pregnancy Center (http://cpcramstein.com/). 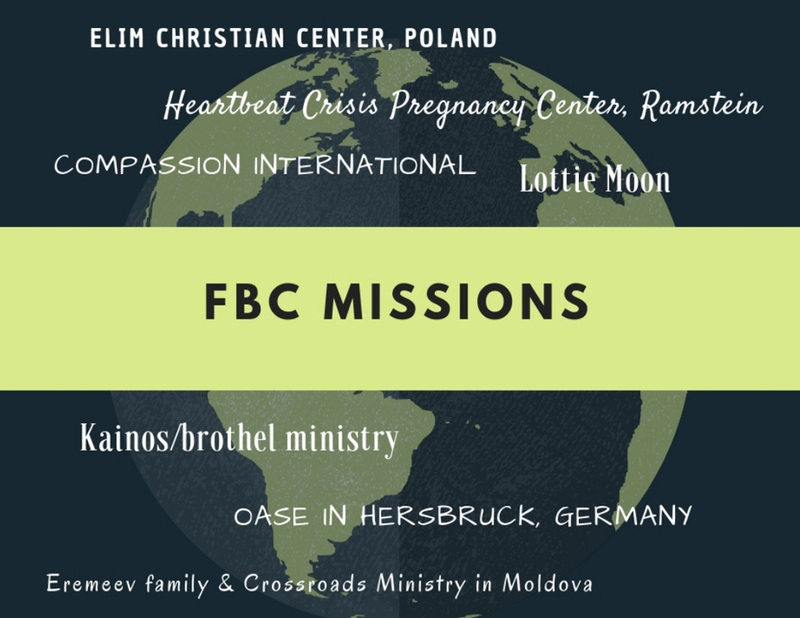 The FBC’s Mission Committee also endeavors to organize one or two global mission trips per year. Most recently, the committee has coordinated youth and family mission trips to help serve ministries in Poland and Moldova. The FBC Missions Committee consists of a Chairperson and two Members-At-Large. The Chairperson should be a member of the church and a man or woman who displays a Christlike character and a Spirit-led lifestyle (Colossians 3:1-16; Galatians 5:16-26). The Chairperson is responsible for all the administrative duties of the committee and to oversee the orderly conduct of committee meetings. The Missions Chairperson should exhibit gracious leadership qualities, manage multiple projects, delegate tasks, and demonstrate flexibility with change. Members-at-Large should be members or associate members of Faith Baptist Church, nominated by the Chairperson of the Missions Committee and approved by the Church Council. Likewise, their life should display Christlike character and Spirit-led behavior. Members-at-Large should be servant-hearted, reliable, resourceful and responsible. The Chairperson and all Mission Committee members should exhibit a genuine desire to follow the Great Commandment and to further the Great Commission in every aspect of mission work.